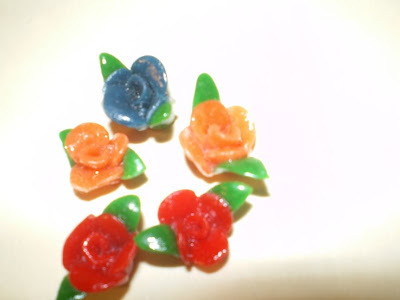 I was looking through some of my old craft items that I have had through the years and came across these flowers I made out of bread dough and tacky glue. I decorated some trinket boxes with these flowers for my daughters as gifts years ago. I think I will try to make them again ...maybe improve on them.